Last week Mark and Kate traveled to Brighton for a few days next to the sea at this years Network Group Gala. The highlight of the event is the Network Group Awards ceremony. 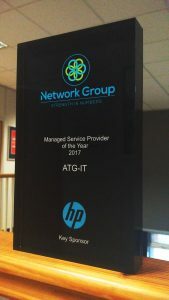 This year we were humbled to be nominated in 2 categories, we’re pleased to announce we won Managed Service Provider of the Year 2017! 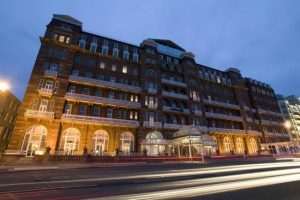 The event hosted by Danny Baker and sponsored by HP, was hosted at Brighton’s Metropole hotel. 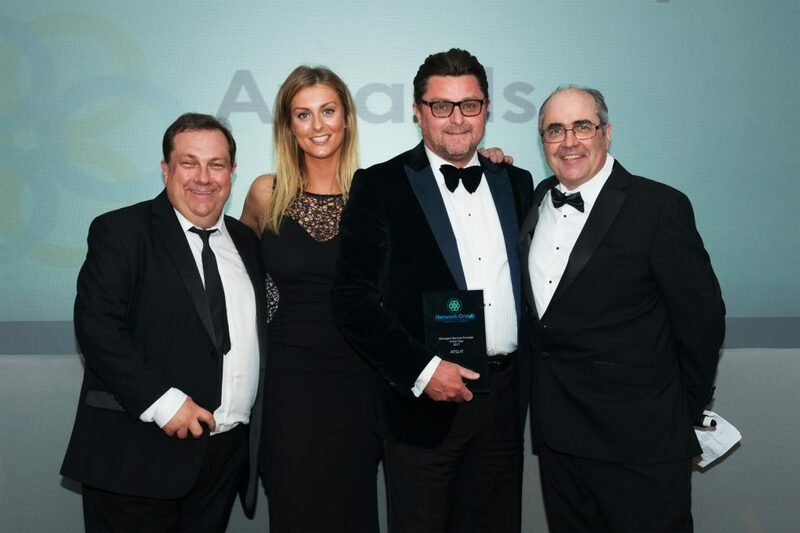 An action packed evening that saw singing waiters, a comedian and a charity auction which raised £11,000 for The MNDA, who are also our Charity of the Year here at ATG so we were very proud of the IT industry coming together to raise so much. Well… us! TechTarget uses the following description “A managed service provider (MSP) is a company that manages a customer's IT infrastructure and/or end-user systems, typically on a proactive basis and under a subscription model.” Put simply, we manage all different parts of technology, So if that’s cloud, network infrastructure, cyber security or disaster recovery we take care of everything for businesses so they have a single point of contact and single billing. We take the headache away from technology allowing business owners to concentrate on running and growing their business. Established in 1996, as the UK’s most powerful IT group Network Group offers a network for UK IT companies to share ideas, solve problems and grow together.